Aspiring writers note: get thee to a writing group. Writing in isolation is like singing in the shower. There is no one there to tell you that you’re tone deaf. Well, unless you take communal showers…uh…let’s not go there. You’re alone. In the shower. Or…alone at the keyboard. There have been some great posts about critique groups in recent weeks. Kristen Lamb points out the good and bad of participation and offers an alternative kind of feedback that she calls the “concept critique”. Juli Page Morgan loves her current crit group and pointed me to an older post on advice to ignore by author Anne R. Allen. The key is finding the right group. Finding what works for you. Your writing is personal and your critique partners aren’t in your head. 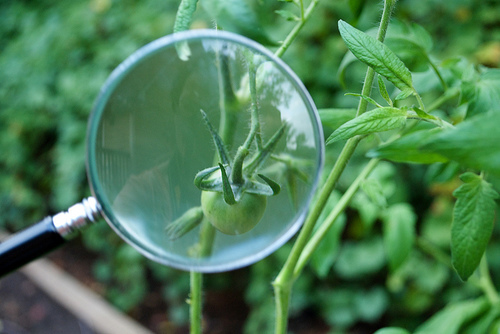 You shouldn’t feel like you’re under a microscope (or a magnifying glass). But feedback is critical – just remember to take it with a grain of salt. This entry was posted in Writing and tagged critique. Bookmark the permalink. Thank you for the connection to the Good Reads blog. Very informative! I have grown so much as a writer since joining my critique group. The funny thing is, I didn’t really see it happening. It was a gradual process, achieved not only by having my own work critiqued but by offering my own advice and opinions on my partners submissions. A shout out to the Word Herd, see you at B&N tomorrow night. Thank you, Trudy! I enjoyed looking at your site. I’m a writing teacher and fervently hope my students still have their masterpieces! I only saw it happening because I consciously worked to find ways to improve my writing based on the input I was getting from my writers group. In the beginning, I don’t think I understood what they were talking about (ha!) but as I listened to their own fiction, and to the critiques, something finally clicked. Thanks for stopping in to chat with us! Pingback: Is it still Thursday? | The Many Worlds of Char….